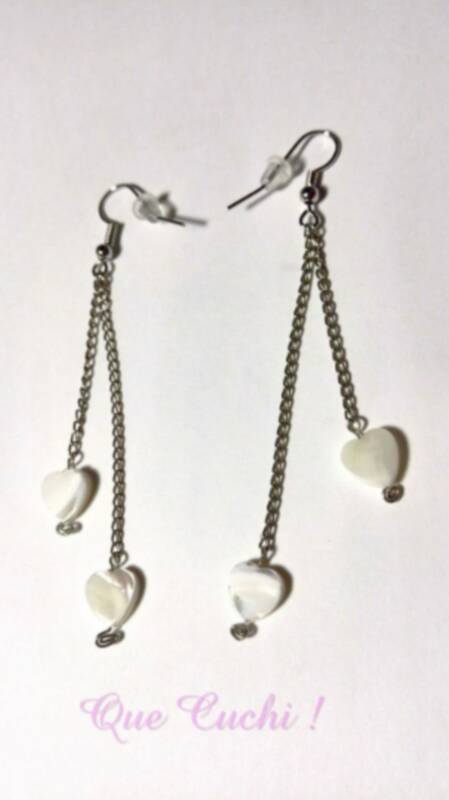 Handmade earrings in nickel-free plated metal consisting of two chains of 5 and 3 cm in length and two hearts of 8 mm of mother-of-pearl. Mother-of-pearl is the lining of some mollusc shells, consisting of crystals of aragonite and conchyoline, with iridescent reflections. Mother of pearl choker 80 cm. multicolored mother of pearl choker of 120 cms.